The Pocophone F1 is now Widevine L1 certified, thanks to the latest stable build update. 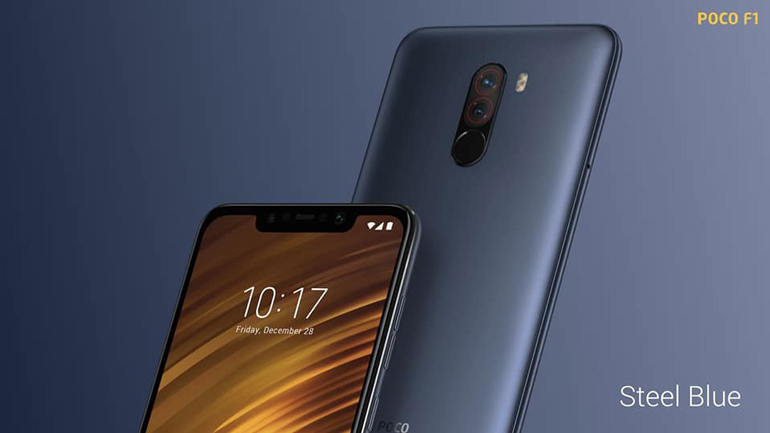 Last year September, it was revealed that the Pocophone F1 lacks Widevine L1 DRM support which does not allow the phone to stream HD and up videos from services like Netflix, Amazon Video, and iFlix. The announcement was made by Poco India GM Manmohan Chandolu (@cmamohan), who recently tweeted about it. The new update fixes the major drawback. It also includes the latest security patches and a new Game Turbo mode as well. The Pocophone F1 comes with a 6.18-inch full HD IPS display, a Qualcomm Snapdragon 845 processor, 6GB RAM, up to 128GB storage, and a large 4,000mAh battery. It has a 12MP + 5MP dual rear camera system and a 20MP selfie shooter. The phone also features with face unlock via IR scanning, a liquid cooling system, a fingerprint scanner, and a USB Type-C port. The Pocophone F1 is available in the Philippines with a price of PHP 17,990 for the 6GB + 64GB, and PHP 19,990 for the 6GB + 128GB.